Home tips n tricks Connect Mobile Internet Data Package To Computer? how to connect my mobile internet data package to my computer? Well the answer to the above question is simple yet complicated. First of all, you need to check with the operator if there is any restriction on the tethering on your account or not. In some regions, the carriers allow tether, in some regions, they don’t. So if your mobile service operator is ok with tethering of mobile data on your computer, please see the following instruction for different phones. 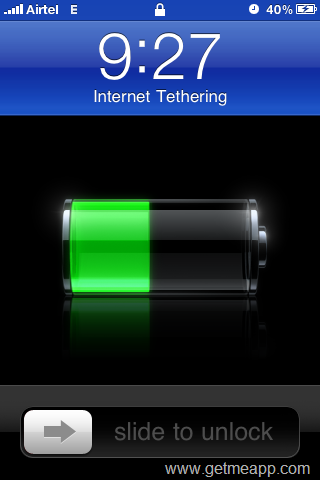 For iPhone, the tethering is allowed for certain phone models depending on the geography. You can go to settings > Personal mobile hotspot and create a WiFi hotspot with which you can connect your WiFi devices to use the mobile data of your phone on your WiFi enabled laptops, tablets, gaming consoles and other devices. If your computer does not have WiFi, you can connect it via the data cable and install iTunes and enable USB tethering in the settings. In that case, an Ethernet adaptor will be created and you can use the mobile data via USB data cable. Check out more details here. On Android phones, its much simpler to create a Wireless hotspot for tethering. Simply go to settings > Wireless Settings > More Settings > Portable WiFi Hotspot and enable the WiFi Hotspot or USB tethering as per the need. It can also be used via USB cable just like iPhones. For feature phones, you need to check whether the phone has 2G / 3G data capability and does it allow to connect to the PC like a modem. Most feature phones these days offer modem functionality. You need to install phone’s drivers and its modem drivers provided with the phone or downloaded from official website of the phone maker. Then you need to run the PC Suite or the software for the phone and select the tethering or Modem option there. Better refer to the phone’s user’s manual as different brand of feature phones have different procedure to connect as modem.